These milked cashews offer a perfectly balanced flavor with a creamy richness that is truly satisfying and nutritious. It is perfect for drinking straight out of the glass! Elmhurst was originally founded in the early 1900s in Queens and grew to be one of the Northeast's leading dairy producers. 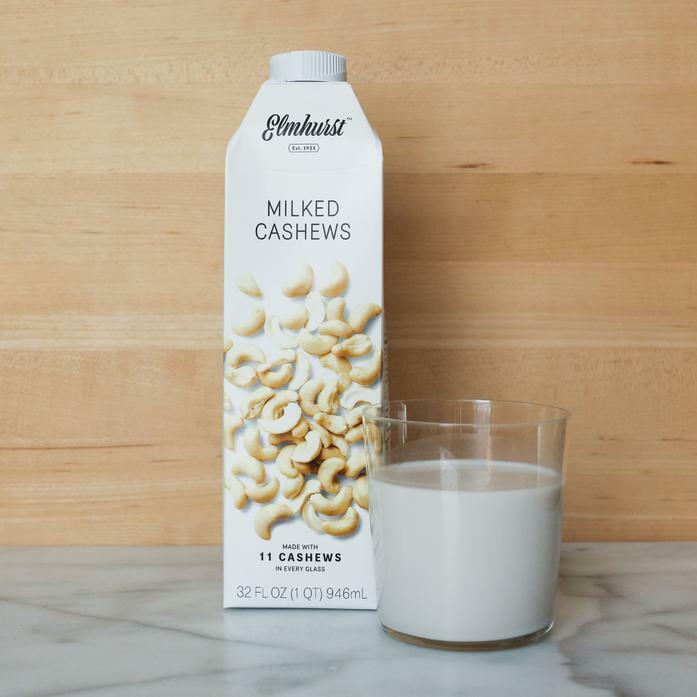 Elmhurst has now shifted completely to plant-based milks, and uses a patented cold milling technique that allows them to produce a non-dairy milk containing all of the nutrition and flavor of the nuts in a creamy emulsion.